If you follow the news, it’s likely that you’ve become concerned about the state of today’s housing market. And it’s no wonder. Just open up the real estate section of any paper, and you’ll see nothing but negative headlines. 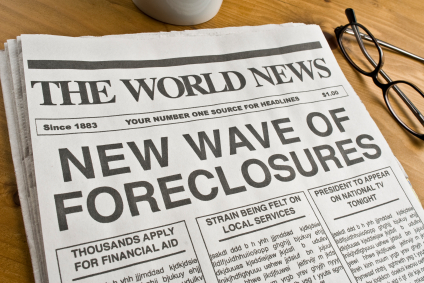 To prove my point, here are some recent headlines: “Foreclosure Crisis Continues,” “Home Prices Tumble,” “Housing Woes Won’t End Soon.” I could go on. I’m not saying that these headlines and articles provide false information. For the most part, their statements are true. But what I am saying is that you should not be using this information to make your personal investing decisions. You must ask yourself: Am I investing in a market? Or am I investing in a DEAL? If the deal is right and your exit strategy is clear, then the market conditions become much less relevant. REI Translation: Today’s market fluctuations are your friend because they’ve scared off your competition–other investors. They’re also your friend because the fluctuations have created a flood of motivated sellers. And as any savvy investor knows, buying from motivated sellers is the only way to make it in this business. REI Translation: Keep plenty of tools (investing techniques) in your tool belt so that you can adapt to a changing market. What worked best in 2006 doesn’t work best in today’s market. Today, we’re seeing first hand that those with only one investing strategy are taking a beating. REI Translation: To build true long-term wealth, you must buy and hold real estate. REI Translation: Those who don’t know how to properly analyze, enter, and exit real estate transactions think today’s market is risky. Those who fully understand the intricacies of creative real estate investing continue to participate and profit. REI Translation: Now’s the time to buy. In real estate and in life, it’s almost always best to act opposite to the herd. Today’s market fluctuations are your friend because they’ve scared off your competition and because the fluctuations have created a flood of motivated sellers. REI Translation: Naive people are putting their money into stocks, bonds, and savings accounts right now. Smart people continue to invest in real estate, and they’re picking up more bargains than ever. REI Translation: If you’re concerned that you cannot sell for full value, then buy lower – at about 60% of value – and sell lower – at about 90% of value. REI Translation: Sometimes the best real estate deals are the ones you don’t make. REI Translation: If you’re going to hold a property long term, it’s far better to buy a wonderful house at a fair price than a dump at a bargain. REI Translation: Most Americans think that now is a risky time to get into real estate investing. Do they know more than you? Most likely not. Only a handful of Americans know the specific techniques for profiting in today’s market. And that’s because they read articles like this, they buy REI courses, they attend their local REI meetings, etc. Most Americans get their “investing tips” from the daily paper. There couldn’t be a worse source. Do you think journalists know how to wholesale houses, do short sales, take over a loan Subject To, etc.? I think not. REI Translation: Don’t worry what the masses are doing. Follow the advice of successful real estate investors, and use their techniques to profit in today’s market. REI Translation: Every deal must work on paper before it will ever work in real life. REI Translation: Remember, that’s what real estate investing is all about. Arranging your life so that you can do what you want to do when you want to do it. Nice blog! It contains relevant information. Creative real estate investing is probably the most interesting part of rental property investment mainly because in real estate everything is negotiable. If done right it can generate a positive cash flow. Nicely done! Great Blog!!! Full of relevant real estate information novice to experienced real estate investors can use in the real estate business. I think its great I am reading Matthew A. Martinez books. I wouldn’t really agree on “REI Translation” on Quote #8. Buffet is talking about “over-leveraging” -a.k.a. Debt to Equity ratio. This really is a great blog post, but I agree with KC, quote #8 is about over-leveraging. With that being said, I would add that the quote seems to refer to over-leveraging the business rather than a particular transaction. Over the long term, you will make mistakes and bad deals, unless you are risk adverse. The measure should be not whether you occasionally lose money on a deal, but in the aggregate, have you made more money then you have spent. It’s OK to take on a little bit of water to get across the ocean, but don’t sink the ship. I really like Quote #12 A Comprehensive analysis of issues is vital, as you count the cost before venturing into any deals.Thanks! This is an excellent post! If there’s an authority out there on investing and wealth building, it’s WB. And paraphrasing some of his statements into Real Estate lingo, is a stroke of genius in its own right! Good advice for anyone wanting or thinking about investing in Real Estate. This was a really refreshing read. Thanks! You ought to re-think the comment to Quote #6. To say that “naive people are putting their money into stocks…” is itself a naive statement. The article is quoting Warren Buffett, who is arguably the world’s best investor. The world’s best investor buys stocks; billions of dollars worth of stocks. The world’s best investor is not investing billions of dollars into real estate….